Most of us wish we could spend all of our time traveling the world but that’s not very realistic. The cost of travel makes it difficult to go away as often as we’d like. Some people just get used to that fact and learn to live with it, but for others, that’s just not an option. If you’ve got a constant need to get away and explore the world, the thought of being stuck at home all the time can easily drive you mad. Luckily, there’s a simple solution to that problem; find a job that allows you to travel. It might sound too good to be true but there are plenty of them out there. 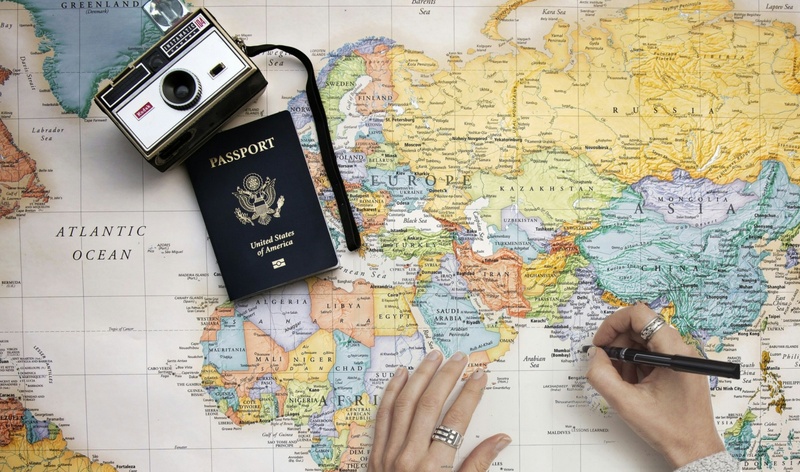 These are just some of your options for careers that involve travel. Blogging is a great way to earn money on your own terms and give yourself a lot more freedom in life. There are thousands of blogs on all sorts of different topics, but one of the most popular subjects is travel. People that run successful travel blogs fund their trips with the money they make from the blog, then write about it and post it. It takes a while to set up your blog properly and get a good readership going, but if you can manage that, you should be able to make enough money to travel regularly. You might also benefit from doing a bit of freelance work on the side while you’re building a following so you can still fund your trips. Just remember that the most important thing when you’re creating a blog is to offer something new. There is a huge amount of competition in the blogging world and if you don’t offer readers something unique, they’re not going to come back. The most obvious career for people that love to travel is being a pilot, but you don’t necessarily have to do that. There are all sorts of jobs in airlines that offer the same travel opportunities so even if you’re not keen on the idea of flying the plane itself, don’t write off working for an airline. The ACS – Top UK 10 aviation courses cover a wide range of areas; some will train you to be a pilot but you can also get qualified to be an engineer on aircraft, making sure that they’re in good working order before takeoff. You could also look at becoming an air traffic controller and helping the planes to takeoff and land or even get a job as part of the cabin crew. Teaching is one of the most rewarding jobs there is, and it also gives you a great opportunity to travel the world. There is a huge demand for people to teach English as a second language in countries all around the world. A lot of people tend to do it in Asia but you’ve got the option of going to any country that doesn’t speak English as a first language. The qualifications aren’t the same as becoming a teacher in a school over here. As long as English is your first language, you only need to take a short 3 month course before you can start applying for jobs. If you spend every day sitting in the office, staring out of the window and daydreaming about traveling the world, these jobs are perfect for you.